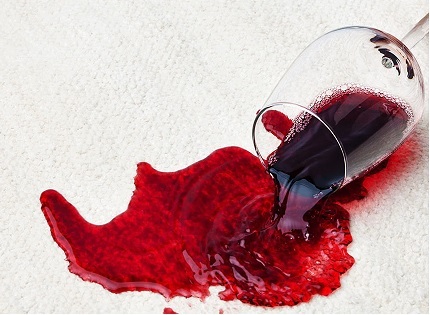 With Valentines Day quickly approaching, we thought it would be good to talk about removing wine stains. Red wine spilled on silk is one of the hardest stains to remove. If you act quickly, you should be able to effectively remove the stain before it sets. Note: Silk is a delicate fabric, always do a test patch in a discreet area on the fabric before using it on the stain. If you spill red wine on your silk blouse, tie, or upholstery, the faster you work on it, the more successful you’ll be at removing it. Allowing it to dry will make it almost impossible to get out. 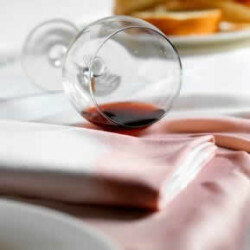 If you’re in a restaurant, or otherwise away from home, and unable to work on the stain, blot it with a napkin or paper towel to get as much of the wine out as you can. Do not rub – it will only grind the stain into the fabric and make it harder to remove. Homemade remedies don’t contain a lot of harsh chemicals that can damage delicate fabrics like silk, so it’s always best to give them a try before moving on to something stronger. Try mixing a solution of one half hydrogen peroxide and one half cold water and letting the stained area soak in it overnight. If it doesn’t come out the first time, pour out the mixture, mix up a fresh batch, and soak just the stained area again. This may take several attempts and you’ll need to blot the area in between each application. If it’s a bad stain, use full strength peroxide. 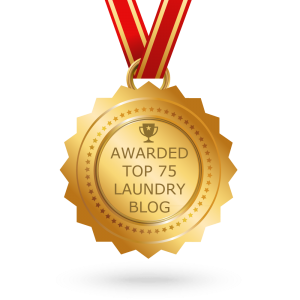 Don’t allow the stained garments to dry until the red wine is completely gone. Again….do a test patch in a discreet area on the fabric before using it on the stain. Another effective solution is mixing Dawn dishwashing liquid and warm water. Soak the affected silk, and then rinse just the stained area with cold water. You may need to soak it a few times. I’ve read some have tried vinegar or rubbing alcohol mixed with Dawn and been successful. If a slight stain remains, dab rubbing alcohol onto it; then, put a cloth soaked in alcohol on top of the stain to keep it wet and let it sit. Blot the moisture away to remove the wine. Repeat if necessary. There are several good commercial cleaners on the market for removing red wine as well. Spray and Wash works well on red wine stains, while remaining gentle enough for silk. Spray it on, keep the area wet and blot away as much of the wine as possible. Gonzo “Wine Away” is a very popular one that is available at most hardware stores. Follow the directions on the package and use in a well-ventilated area. Again….I can’t stress enough….do a test patch in a discreet area on the fabric before using it on the stain. Erado-Sol, a commercial cleaner, is the best over the counter cleaner and will remove 100 percent of the stain. It may be difficult to find, so I recommend looking online. Red wine spilled on silk is one of the hardest stains to remove. If you act quickly, you should be able to effectively remove the stain before it sets.